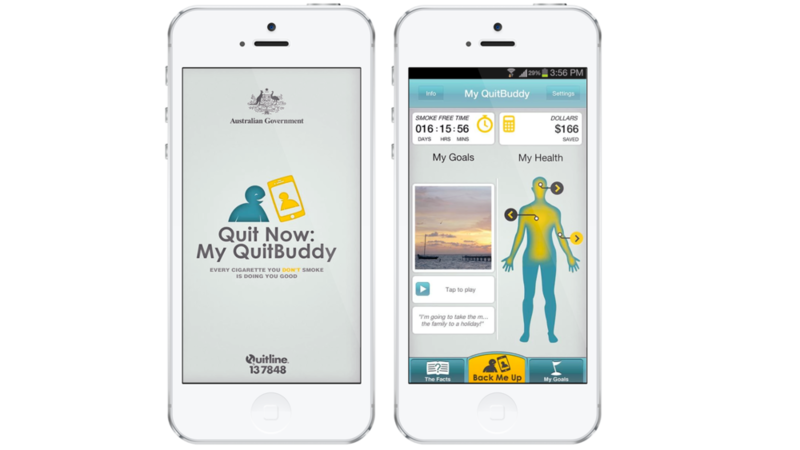 An iPhone, Android and Windows Phone application developed for the Australian Federal Government’s Quit Now! campaign. The app is designed to be a ‘buddy’ to help people on their journey to be smoke-free. Using high levels of gamification, the app provides a personalised experience, access to an (anonymous) community and the ability to share your smoke- free progress. The app is top rated at 5-Stars, has been downloaded over half a million times and has received rave reviews. The My Quit Buddy app has been phenomenally successful since its launch in May 2012, with smokers from all generations using it to quit smoking. Its value as a health programme has been recognised through the community’s reviews on iTunes and Google Play, and by the industry through numerous awards around the world.